134-Piece Mechanics Tool Set features 3 full polish ratchets, 82 sockets, 10 combination wrenches, 22 bits, 14 hex keys, 3 socket accessories and a magnetic handle. 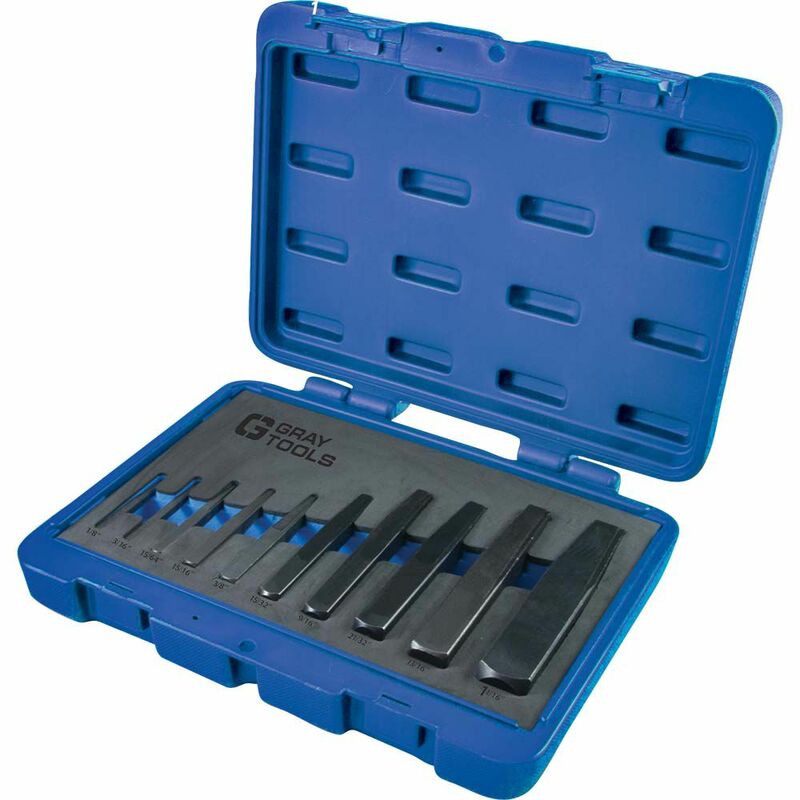 Tools come in a case for easy storage and transportation. Sockets are equipped with Surface Drive contact points virtually eliminating the rounding of fasteners. By moving the contact points away from the edge of the fastener, the area of flat contact is expanded, distributing the load over a wider surface. 44-Piece 3/8 in. drive contact points virtually eliminate the rounding of fasteners. By moving the contact points away from the edge of the fastener, the area of flat contact is expanded, distributing the load over a wider surface. The roundhead ratchet has a full polish, nickel chrome plated finish for rust resistance. 10 Piece Straight Type Screw Extractor Set The screw extractors in this 10 piece set feature straight, tapered flutes that provide a secure and firm grip. Made in Canada and backed by Gray Tools worry-free lifetime warranty. 10 Piece Straight Type Screw Extractor Set is rated 5.0 out of 5 by 1. Rated 5 out of 5 by Jan1 from great tools Very efficient tools and easy to use.I recommend it with highest confidence.